Nissan Micra Prices & Variants: The Nissan Micra is available in a choice of two variants -XL(O) and XV, which are priced from Rs 6.42 lakh to Rs 7.9 lakh (ex-showroom Delhi). Nissan Micra Engine & Transmission: The Micra can be had with 1.2-litre, 3-cylinder (77PS/104Nm) petrol engine and a 1.5-litre, 4-cylinder (64PS/160Nm) diesel. The petrol Micra comes with a CVT automatic only, while the diesel Micra is mated to a 5-speed manual gearbox. 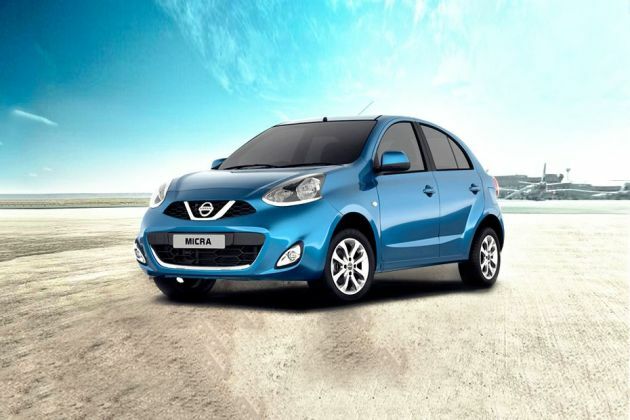 Nissan Micra Features: For safety, the Micra gets dual front airbags and ABS with EBD and BA (brake assist) as standard. Other features on offer include auto headlamps, rain-sensing wipers, LED tail lights, rear parking camera with sensors, electrically adjustable and foldable ORVMs, auto climate control, height adjustable seat, push-button start and a 6.2-inch touchscreen infotainment with Bluetooth and navigation. Nissan Micra Rivals: The Micra takes on the likes of the Hyundai Grand i10, Maruti Suzuki Swift and the Ignis. The Nissan Micra gets a CVT automatic as standard with the petrol engine and that makes it one of the more affordable cars in India to offer this technology. However, the Micra facelift has been around for the last 5 years and now it doesn't appear as fresh as some of its counterparts. The Fashion limited edition is introduced in collaboration with United Colors of Benetton and comes with a CVT transmission.